Paris. Full of glamour and romance, there is a lot more to this infamous destination then the clichés we’ve all come to know. Paris happens to be one of the most diverse cities in the world with thousands of immigrants from Asia, South America & Africa. I had always been taught to perceive Paris as an untouchable, conservative, white-only society. When I arrived, I was surprised to find a large population of African descent with an indelible sense of style and grace. During my month long stay in Paris, I was surprised by a few thought-provoking cultural differences. Unlike America, France isn’t allowed to collect information pertaining race, only information regarding an individual’s birth country. As a result, there is no accurate count of African immigrants living in France. When I met other young blacks, they referred to themselves as French first, as there is no such term as Afro American or African French. When walking down the streets of Paris, I would always receive a warm smile, nod or conversation, something starkly different from where I came from. In Los Angeles, in the same scenario, eyes of African Americans I’d cross paths with would be diverted in other directions. These black Parisians never made me feel like I was alone. Along with the difference in culture, I discovered some amazing things to do (other than visit the Eiffel Tower). Follow this list for an amazing way to view of the city of love! 1. Versailles. Here you will find an incredibly glamorous palace filled with art, parisian pool sized ponds and magical gardens. If you’ve seen the movie Marie Antoinette, you should definitely visit. For those who haven’t seen the movie, watch it and then go visit (ha!). This palace is located right out of Paris and with just a hop on the metro you can get there in just under an hour. 2. If you love architecture, visit La Défense. This area is the modern business district that was designed so that historic downtown Paris wouldn’t be disturbed. Here you will find abstract building that look exactly like a pieces of art. If you’re able to visit La Défense at night (which is even more interesting), don’t forget to take a glance back into the city. You will see Place de la Concorde, the Arc de Triomphe and the colorfully lit road that leads to Paris. Words cannot describe how amazing this sight is. 3. See the original Statue of Liberty. Yes, you remember the French who gave us that larger one in New York after that one war? 4. Have wine and cheese in a park. The two most common places for tourists are the 1) cute little park under the Eiffel tower and the 2) park at the Louvre. But honestly, all of Paris’ parks are beautiful in their own way so any one will do. 5. 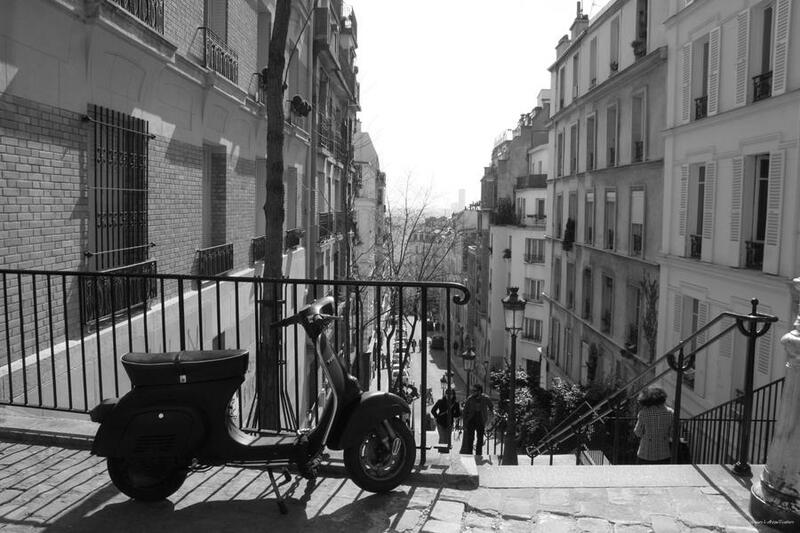 Drink beer on the steps of Montmartre and hang out with some gypsies. Before you drink too much, make sure you make your way up to the top to get a view of night club district. 6. Last but not least, for the brave people out there, rent a vespa and ride around the town during sunset. The city will take your breath away all over again. As a black woman and solo traveler, I delight in visiting Paris. If you are looking to experience Europe but don’t know where you’d feel most comfortable, give Paris a shot.